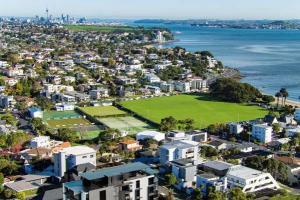 Do you support Auckland Transport's plan for St Heliers? Hi neighbours, Auckland Transport's St Heliers plans are "excessive" and "over the top", according to residents and business owners. AT has proposed thirteen raised zebra crossings on Tamaki Drive. But to put the plan in place, 40 car parks have to be removed. What do you think about AT's proposal? A local meeting is being held on April 15. Read the story. Please add NP if you do not wish for your comment to be in print. Hi neighbours, a mum's keepsake box of her dead daughter's belongings was stolen in a robbery. Ana Waalkens' daughter, Lila, 4, died from an asthma attack. Inside the box were notes Lila wrote her, a bracelet, hair ties she wore the night before she died and a lock of her hair Waalkens cut to keep. Anyone with information can contact police on 09 529 5647. Please add NP if you do not wish for your comment to be in print.